Product prices and availability are accurate as of 2019-04-11 01:27:01 EDT and are subject to change. Any price and availability information displayed on http://www.amazon.com/ at the time of purchase will apply to the purchase of this product. As the material comes from different batches, color aberration is unavoidable. Even though the shooting environment makes the product look beautiful, but please trust us it is the REAL SHOT. If you do NOT mind these uncontrollable factors, your order is really valued for us. Well packed, good quality. No worry to buy!!! Assembly instruction is included. It is no hard feeling to install. Longer chain is no problem, but please give us a few days to customize from manufacturer. 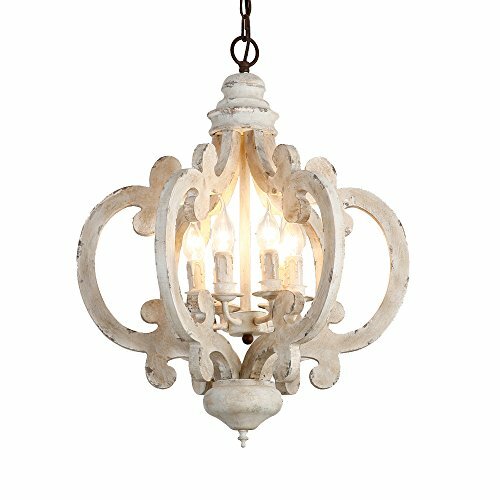 Full of classic and elegant appeal, this delicately crafted chandelier will bring rustic character and flavor to any space. 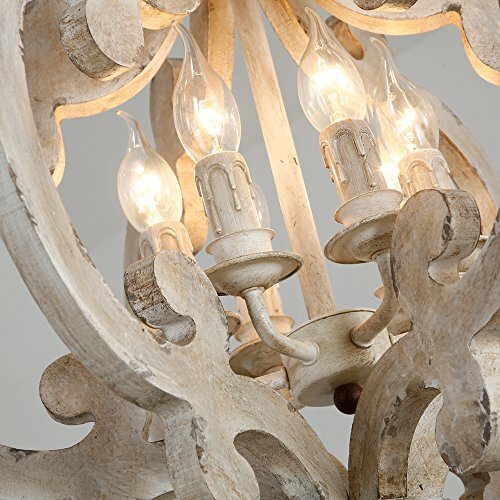 Featuring gracefully scrolled wood arms, iron light cluster and candle sleeves, this design mixes rich textures for an organic look to feast your eyes on. 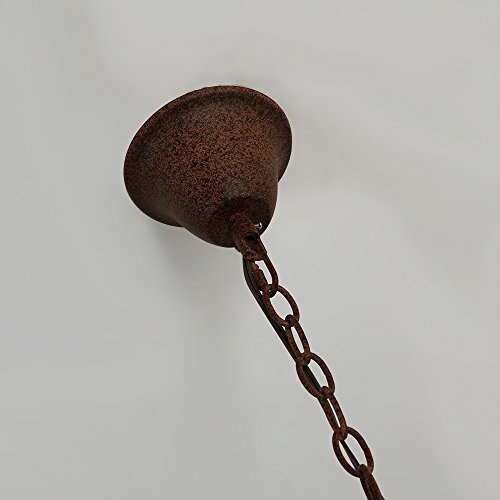 A ball finial in rust echoes chains and canopy to add sophistication. 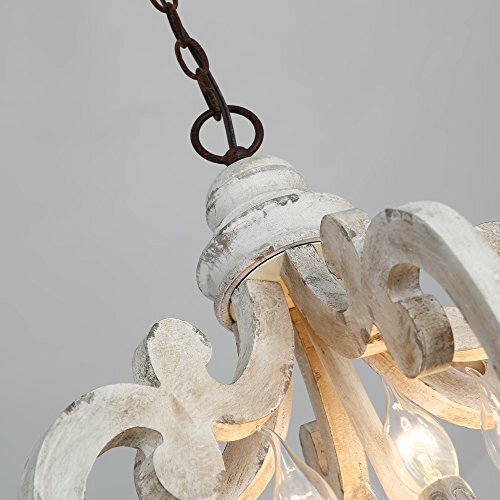 Distressed white finish enhances its cottage chic style and makes it goes well with different home style. 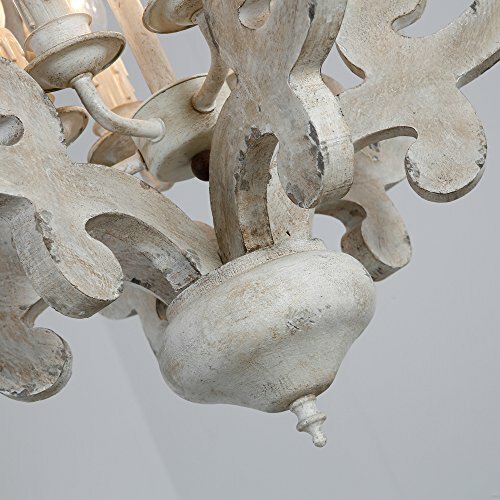 - Assembly Instructions: This fixture does need to be hard wired. Assembly is required. Professional installation is recommended. 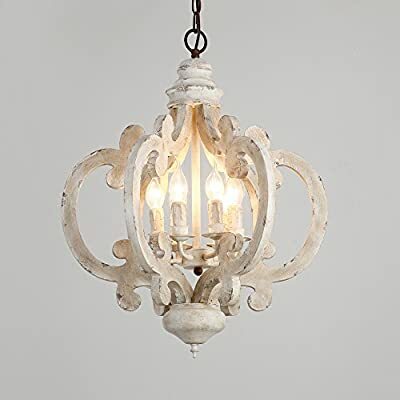 - Materials: Wood, Metal - Finish: Distressed White - Diameter: 19.7" (500mm) - Body Height: 24.7" (627mm) - Chain Length: 39.4"/1000mm (adjustable, contact us if you need longer) - Bulbs: 6 x 40W incandescent E12 (not included) - Assembly Instructions: This fixture does need to be hard wired. Assembly is required. Professional installation is recommended.